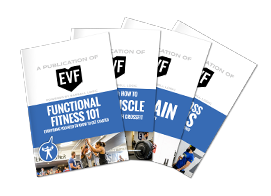 EVF Performance is the perfect place for newcomers looking to transform their bodies and minds. Our community is led by knowledgeable coaches dedicated to getting you the results you want. It’s not about mirrors or machines - it’s functional movement that matters. Come on in for your FREE intro session and see why you’re going to love training at EVF Performance. Tour our facility, meet our members, chat with our coaches and find out for yourself what intelligent training is all about.